Wendy Gerbier's exceptionally expressive mezzo-soprano voice, simply put, is sublime. The vibrant radiance of her three-octave range moves listeners deeply as they experience her full-bodied strength and warmth. Even as a young child, it was clear that Wendy had a natural gift for all things musical, so it is no surprise that this accomplished musician (violin), composer, choir director, and producer has rapidly established herself as an impressively successful opera singer. Since her debut as a soloist at the 2004 concert honoring Marian Anderson in Danbury, CT, her rich and colorful tones coupled with her incredible stage presence have only strengthened her stature as a highly sought out soloist. She has performed with the New York Metro Vocal Arts Ensemble in New York City, the Nutmeg Symphonic Pops Orchestra in Yale's Battell Chapell, Connecticut Lyric Opera, the Connecticut Grand Opera at Stamford’s Palace Theatre, and the New York Grand Opera at Carnegie Hall. 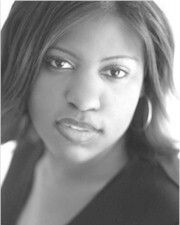 She has been the featured soloist in Mozart's Requiem with the Manford Symphony Orchestra and FCC Choir in Stamford, CT, Handel's Messiah in Stamford and Greenwich, CT, Vivaldi's Gloria with the Stanwich Orchestra and Choir, as well as the featured soloist and producer of her self-created A Night at the Opera show at the Rich Forum Theater in Stamford, CT.
Wendy is now honoring the state of Connecticut as the state's official National Anthem Ambassador, awarded to her by the National Anthem Project chaired by former First Lady, Laura Bush. She now travels the country, singing the national anthem, representing the state of Connecticut. She welcomes visitors to her website at www.wendygerbier.com. Heather Petrie, mezzo-soprano, is new to the Hartford area and is thrilled to be singing with the Connecticut Master Chorale. Although trained primarily in opera, Heather had the unique opportunity as an undergraduate at Bard College to study North Indian Raga, Balinese Gamelan and Middle-Eastern Bellydance. While earning her MM in Vocal Performance from SUNY Purchase Conservatory, she frequently collaborated with contemporary music ensembles and became accustomed to singing music that was not the norm. These diverse experiences prepared her for the challenge of singing Karl Jenkins' beautifully emotional settings of Arabic and Aramaic texts - not something the average opera singer gets to do very often. On the more classical side of things, Heather currently sings with the professional choirs Voce and CONCORA, and is a soloist at Asylum Hill Congregational Church in Hartford, where she also directs their youngest children's choir. As a concert soloist, she has been heard with the American Symphony Orchestra, Westchester Philharmonic, Wallingford Chorale, and Yale Pro Musica. Most recently, Heather performed the role of Larina in Eugene Onegin with Connecticut Lyric Opera, and last summer sang a program of Opera Scenes at Carnegie Hall with Pacific Opera. 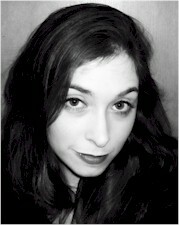 Past roles include Arnalta (L'incoronazione di Poppea), the Page (Amahl and the Night Visitors) and Baba (The Medium). When she is not performing, Heather enjoys teaching voice lessons and is an Early Childhood Music Educator with Music Together.